Praised for its exceptional ride quality and equipped with standard Apple CarPlay and Android Auto, the Acura MDX makes the ride almost as fun as the destination. 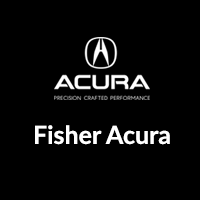 View our current inventory of new Acura MDX models at Fisher Acura, your trusted Denver area Acura dealer. Why Buy an Acura MDX From Fisher Acura? After you value your trade, visit Fisher Acura near Frederick and Thornton to finance your next Acura MDX with us! While you’re here, check out our comparison between the Acura MDX and the BMW X5.